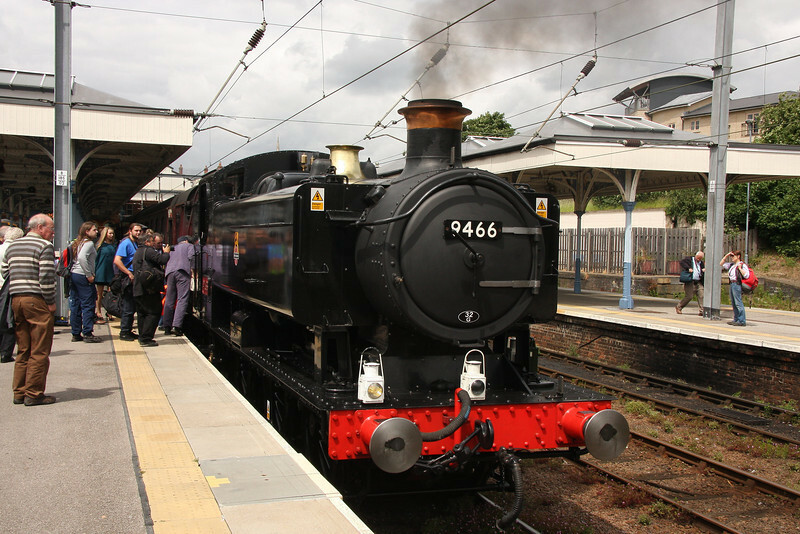 Day trip with Cube to the North Norfolk Railway for their Titfield Thunderbolt Gala. Splashed out and travelled full dining on the Railway Touring Company's charter from Kings Cross, hauled by 34067 Tangmere via Cambridge to Norwich. Here the train was split in half due to the short platforms on the line to Sheringham. 0-6-0PT 9466 helped out with the shunting at Norwich before hauling the special top and tailed with Tangmere to Sheringham and onto the North Norfolk Railway. We managed to blag a ride back on the train to Norwich instead of travelling on the bus connection, then had time for a couple of pints in Norwich before heading back to Kings Cross. Very enjoyable day out.